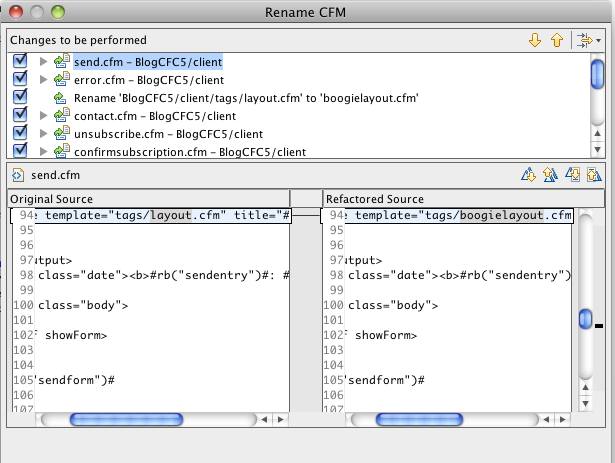 As you can see, there is a list of ‘tasks’ that includes both the file rename and code changes. 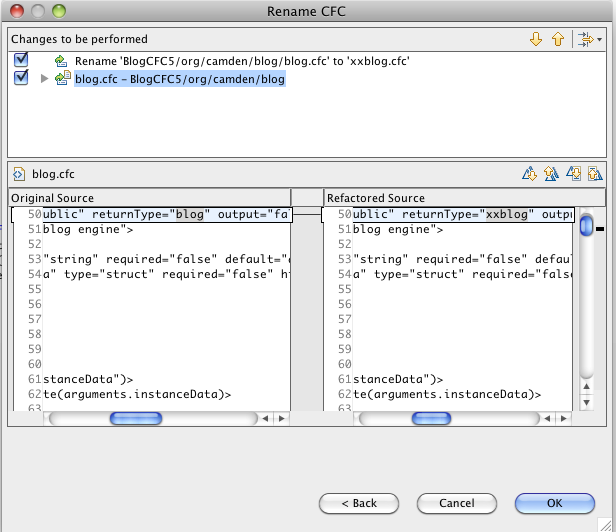 Notice that it detected that blog.cfc used it’s own name in the return of the init method. It correctly knew that it needed to rename the type. 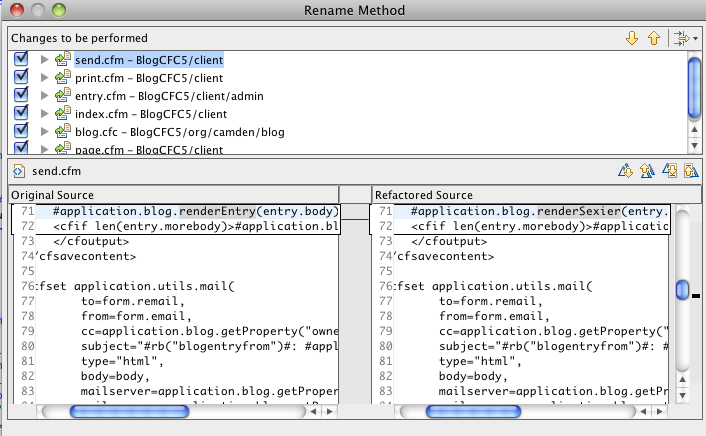 Unfortunately, it did not recognize the fact that my Application.cfm file had a createObject pointing to the CFC. So in this case, it wasn’t perfect. This time it seemed to work perfectly. It caught all the files making use of the custom tag. Also note the checkboxes. I could selectively turn off any modification if I see a potential problem. All in all, a pretty cool example! Again, it looks to me like it successfully found the uses. Do folks think they would make use of this?